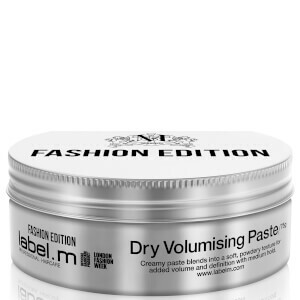 Create bigger, bolder styles with label.m Dry Volumising Paste, a lightweight and medium hold hair wax inspired by high-fashion catwalk looks. 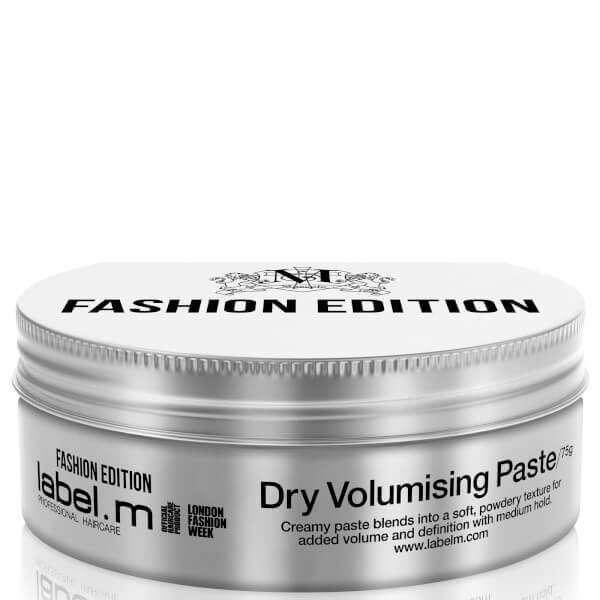 Formulated with Diatomaceous Earth for a mattifying effect that works like a dry shampoo, the cream-to-powder formula adds instant volume and definition that lasts for hours. Moisturising Shea Butter keeps strands healthy and hydrated for flexible, sculpted and salon-worthy looks. Aqua, Diatomaceous Earth, Cetearyl Alcohol, Petrolatum, Ricinus Communis Seed Oil, Butyrospermum Parkii Butter, Glyceryl Stearate, Propylene Glycol, Peg-40 Hydrogenated Castor Oil, Phenoxyethanol, Dipropylene Glycol Dibenzoate, Parfum, Sodium Lauroyl Glutamate, Stearic Acid, Copernicia Cerifera Cera, Caprylyl Glycol, Dimethicone, Pvp, Panthenol, Hydrogenated Castor Oil, Cera Alba, Benzyl Salicylate, Hexyl Cinnamal, Alpha-Isomethyl Ionone, Hydroxycitronellal, Dipropylene Glycol, Linalool, Citronellol, Limonene.